Departs from St. Elmo Ghost Town over high pass to rustic Tincup. A beautiful high-elevation route starting and ending at historic, quaint mountain towns. St. Elmo is one of the most popular ghost towns in Colorado. It has a few active businesses, including a general store and ATV rental. Tincup is a small residential community with many century-old buildings. Active businesses include the Tincup Store and Frenchie’s Cafe. Rocky at the top with one short section of narrow shelf road at 12,000 feet that often remains snow covered into early July. After the snow clears, this trail is suitable for any highclearance, 4-wheel-drive SUV with lowrange gearing. St. Elmo can be reached by car. The optional “Old Tincup” route has one difficult rocky section. (719) 539-3591Gunnison and San Isabel N.F. Download tracklog and waypoints for his trail only. Tincup Pass has gotten rockier on the west side of the Continental Divide. We have raised the rating on this trail from moderate to difficult. Otherwise not much has changed. 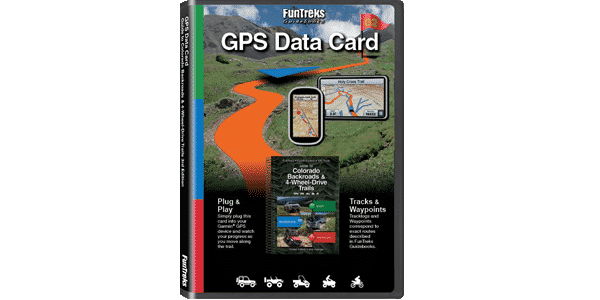 To our customers using the ATV Guide to Colorado Central Mountains, we combine Tincup Pass Road 267 with Hancock Pass Road 295, and also include Cumberland Pass Road 765. The portion of F.S. 839 that goes west towards the Alpine Tunnel is closed due to a rockslide at the narrow Palisades. For up-to-date information, see our 4th Edition Guide to Colorado Backroads & 4-Wheel-Drive Trails, set to be released in April 2019. Drove this July 2016. There is a lot of embedded rock that makes it slow going. The top was very scenic, and the descent down towards Tincup was a bit tricky in spots with some drop off ledges. Ground clearance and skid plates would be a good idea. Definitely worth the time to drive.